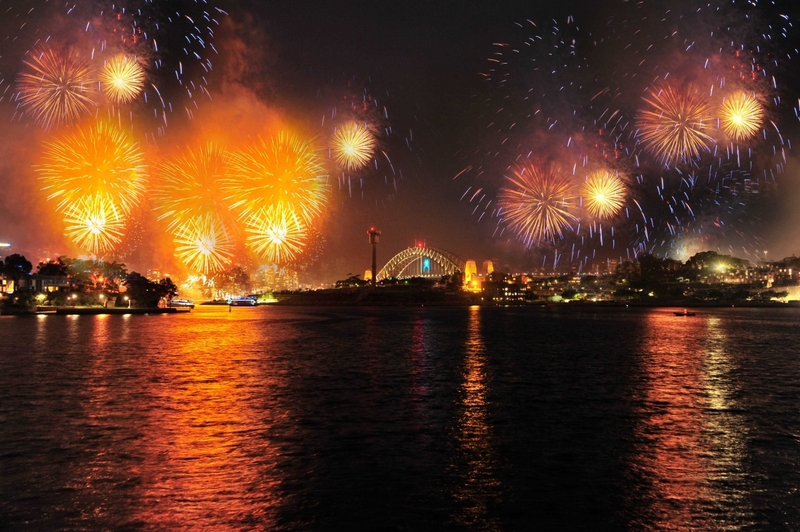 We present a limited capacity ticketed event for 650 with fabulous views from Pirrama Park wharf, Pyrmont on 2017 Sydney New Year’s Eve for the fireworks display. This is a fully licensed event. Enjoy a wonderful menu designed by Jimmy Liks Catering, one of the instigators of Sydney's modern Asian dining revolution. Jimmy Liks returns this year to bring us more of their delicious food, but this time they have collaborated with Hugh Foster (ex Fez, Darlinghurst & Mint, Surry Hills) and journeyed along their beloved Spice Trail to bring you the exotic flavours of Morocco & the Middle East. There are meat and vegan options, as well as a meal package for kids under 10 years. Public transport is strongly recommended. Tickets are $176 including GST ($160 + GST) + booking fee. Click here to purchase tickets. 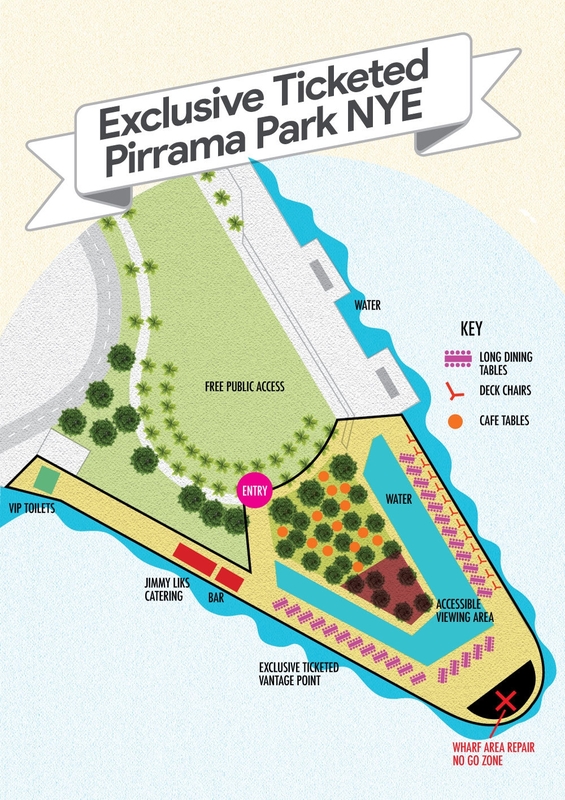 Entry to an exclusive, limited capacity, event held on Pirrama Park Wharf, Pirrama Park, Pyrmont. The wharf provides fabulous views of the North Sydney foreshore, the harbour and the western side of the Sydney Harbour Bridge. Tickets include a Jimmy Liks Menu, including a salad, a main & a dessert. Package also includes a glass of sparkling wine, wine, or soft drink. The kid's menu for children under 10 is $154 Including GST ($140 + GST) + booking fee. Children under 5 are free. Note: Meal packages must be collected from the Jimmy Liks catering marquee before10:15pm on New Year’s Eve, otherwise meals are forfeited. An unreserved long table dining will be available. You can also flop into a deck chair or just bring a rug to enjoy the music and fireworks sound track by our official media broadcast sponsor KIIS 106.5 FM radio. Experience an unmatched view of the spectacular 9pm family fireworks and the midnight New Year firework display. Exclusive toilet amenities are available. This is an all ages event. We ask parents of children under 10 years to take seating in the land vantage point area rather than the wharf vantage point. Parents are to supervise their children at all times. This is a fully licensed venue. All ages. No glass, no BYO, no pets. Bag check by security on entry. Please refer to the entry terms and conditions. All guests must show ID and printed ticket at the entry point on Pirrama Road. This is an outdoor and all-weather event.